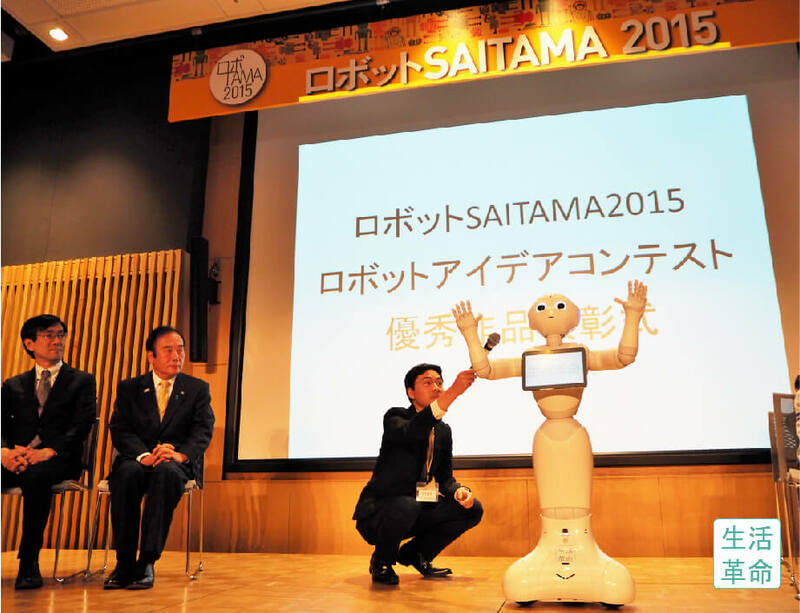 On November 3rd, our company’s Pepper participated in Saitama Prefecture’s first held Robot Saitama 2015 event. In this blog, we’d like to tell you about the Robot Idea Awards Ceremony that took place within the event. 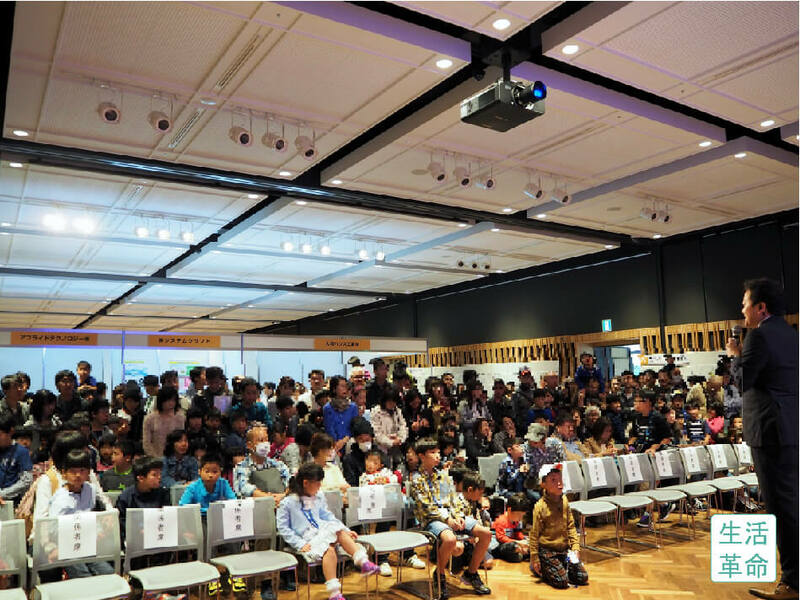 For this contest, ideas were solicited from elementary and middle school students from around the prefecture for creative and attractive robot solutions to support our lifestyles and work, as well as the 2020 Tokyo Olympics and Paralympics. Our Pepper robot participated in this contest’s awards ceremony as an example of a famous robot. The presentation application was also developed and planned by Seikatsu Kakumei. Our Pepper, who greeted the audience, was of popular interest as both a participant and a staff member. 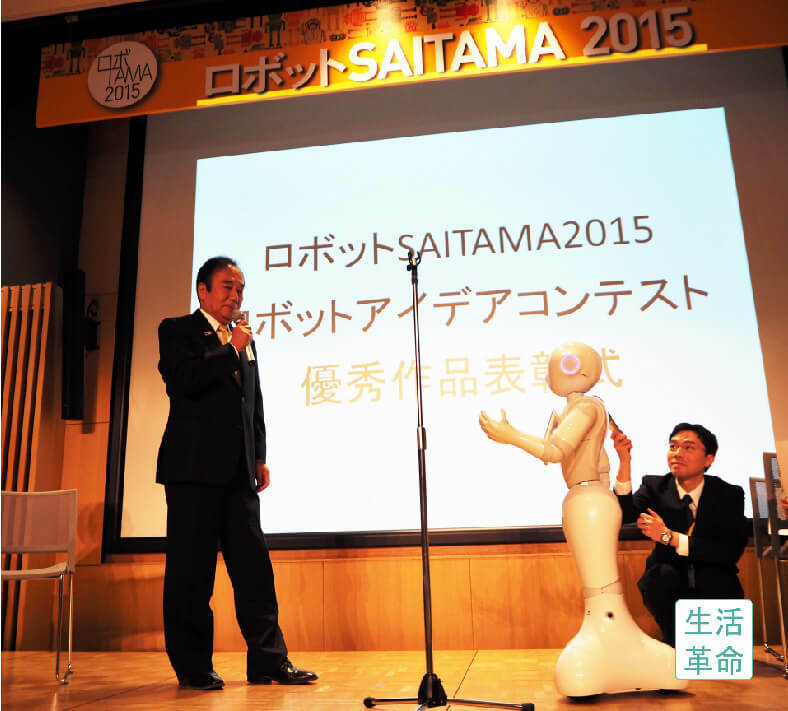 The ceremony was presented by Saitama Prefecture Governor Ueda. Although Pepper was nervous to meet Governor Ueda face to face, the robot replied brilliantly to his unexpected questions. That is a strength of our company’s Pepper, which is designed to make flexible responses. The staff of Saitama Prefecture, who had frozen for a moment, sighed with relief. On this day, approximately 7,000 guests were present; a great success. 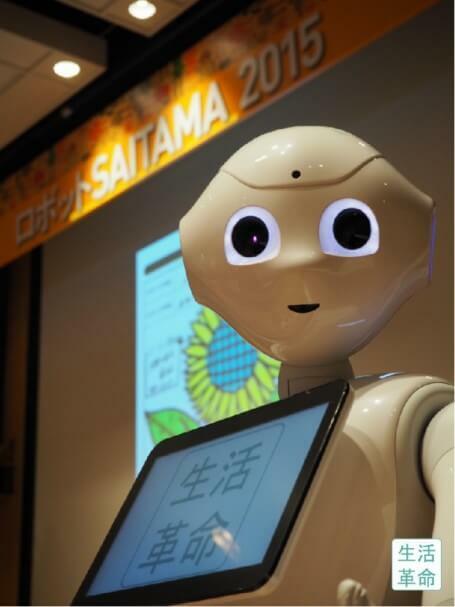 We were told that among the large number of robots, Pepper was still the most popular. Our company’s Pepper can be used in moderating and presentation. As we develop and strengthen our enriching software, we also obtain the experience and knowledge needed for stable operation. Please feel free to contact us with any questions!